The Triathlon Maintenance Plan is built and designed to provide structure for athletes seeking to maintain general fitness. The plan is 12 weeks in duration ranging from 5-8 hours and starts out with a week of zone setting. The plan includes 3 workouts each week of swim, bike and run including a BRICK. Monday is the designated off day. Questions? 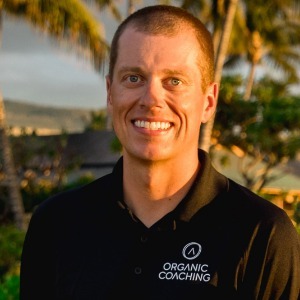 Please visit us on the web at Organiccoaching.biz or email Tyler directly at: tyler@organiccoaching.biz. 30 minutes all out. The first five minutes should feel difficult but sustainable, the last five should be an “I’m never doing this again” effort. Swim the 1000 yard threshold speed test at a high effort.